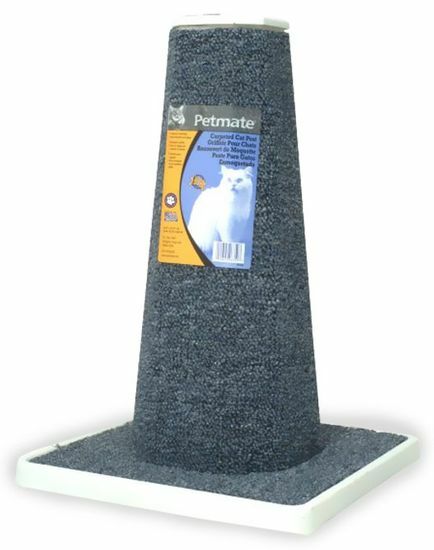 Petmate’s Carpeted Cat Scratching Post is an ideal solution for controlling your cat’s scratching. Not only does this post keep your cat from scratching your walls and furniture, but it helps maintain their claws and paws. This carpeted post features a premium surface area, with an 18” long post and 13” wide base.